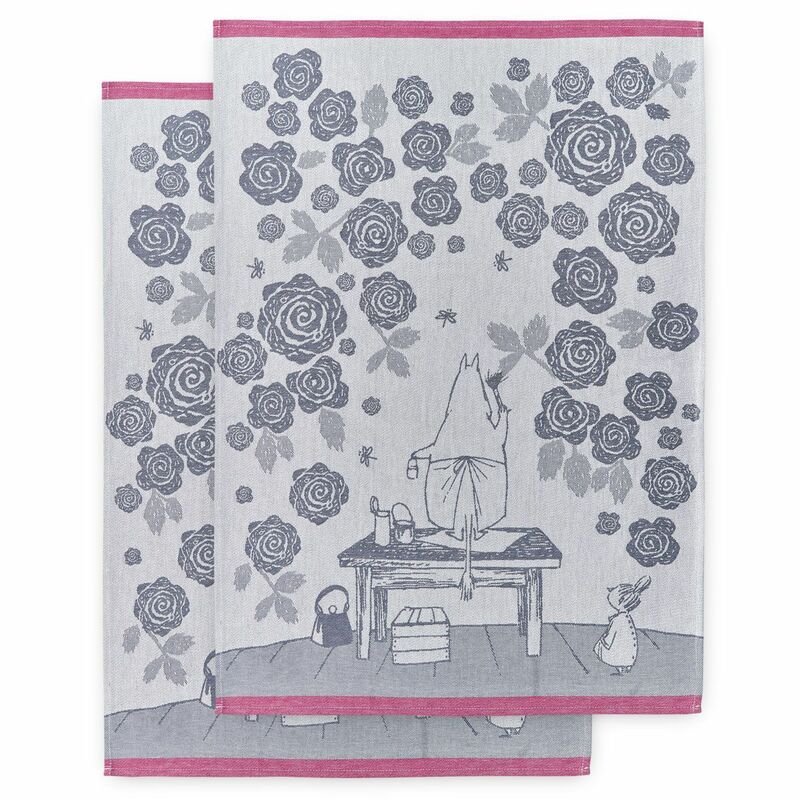 More about Finlayson Moomin Rose Garden Tea Towel Set Called Ruusutarha (Rose Garden), this print is inspired by Tove Jansson's illustrations from the Moomins. A favorite of the Finnish fictional family, Moominmamma appears to be painting big blooms on her wall to bring the beauty of the outdoors in. The image is woven with 100% cotton in bluish grey, with the reverse colorway on the opposite side. Pink borders along the top and bottom add a pop of pretty color. 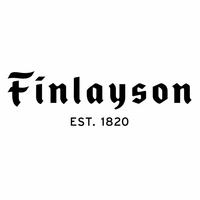 When not using these Finlayson tea towels to dry dishes or hands, fold it over the oven door handle for a pop of textile art. The set also makes a lovely gift for mom or host.